I told you all last night that I was going to be taking off that spotted marbled mani and starting from scratch today and so here we are! I just wasn’t going to be able to handle the chipping on that mani plus I wasn’t entirely pleased with it. But this? Yeah, it’s summery and fresh and hot. I luff it. ❤ I also have a short tutorial for you so keep reading and don’t forget to share! 1. Cut out pieces of baggie about as long as your fingers. 2. Get your polishes open and ready! 3. through 5. 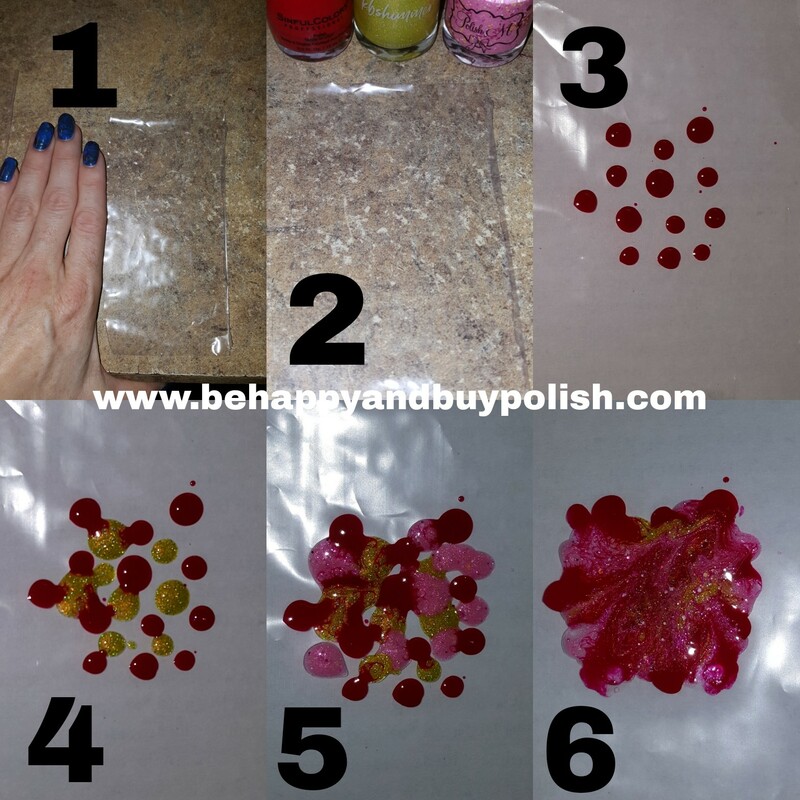 Dot your polishes around in a concentric area. 6. 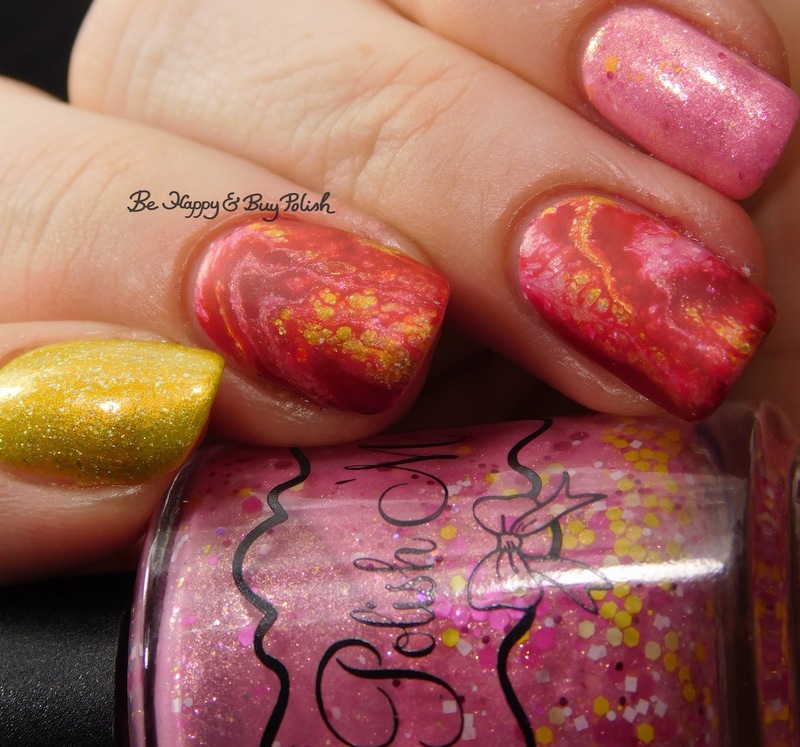 Take the sides of the baggie and smoosh the polishes together just once or twice, then let the “transforming” top coat take over to create the spots. 7. Set aside and let each decal dry. 1. Start with your preferred base coat. 2. Apply 1 coat of the colors. I found there was really no difference between the pink or the yellow polish underneath the decal. 3. Apply a second coat and either tape or liquid latex around the nails you’ll be applying the decals to. 4. While polish is still drying (but not wet), apply decal to nail. Afterwards you can trim the decals and clean up. As I said, I really am pleased with how this turned out. The combination of the colors and finishes really played well with each other. 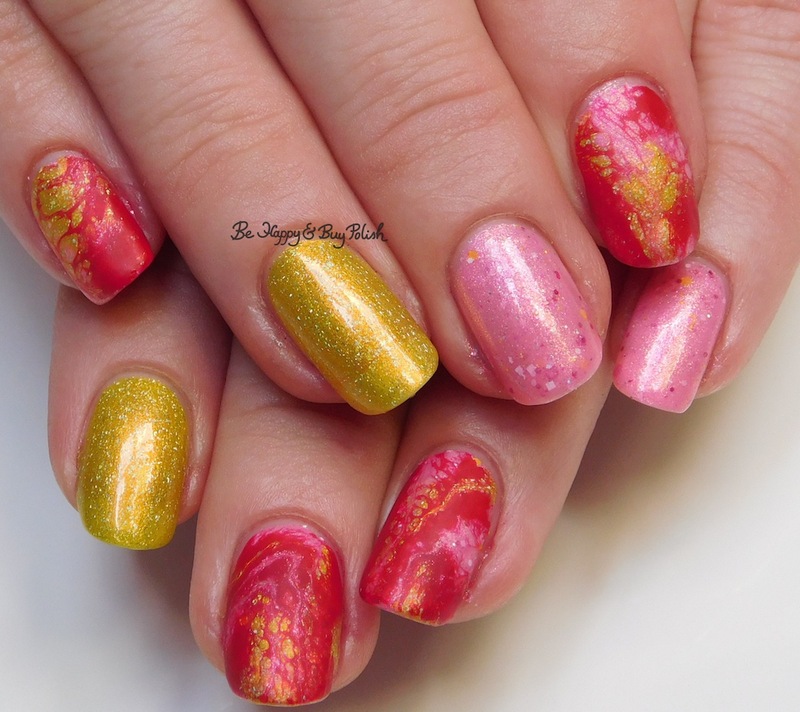 The Polish ‘M is the right touch of soft and bright, I just wish a lot of the bigger glitters hadn’t sunk to the bottom (yes, I did all the tricks to try to budge them, I guess except for using a toothpick). 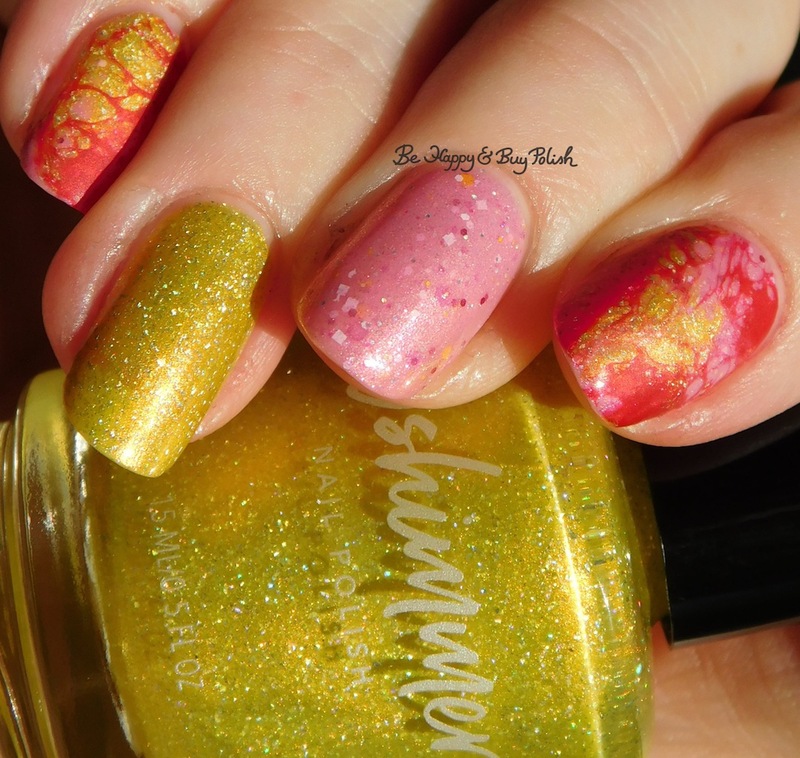 And although I’m not really a huge yellow polish person, this KBShimmer is seriously perfection for summer. Squeeze the Day is such an apt name because it is so juicy!